Follow the steps of the protagonist, a melancholic young adult stricken by unemployment and paralyzed by a chronic care-free and lethargic attitude. Seeking to redeem himself for his past mistakes and overcome his guilt, he, again, applies for a job, expecting to fail miserably once more. To his surprise, he actually gets a call for an interview, at none other than the Pokemon Couriers, a prestigious, esteemed, and highly regarded organization. Setting his sights on the future, he attempts for the last time to begin anew. Three years before the disbanding of Team Rocket by an unknown child, many regions outside the Pokemon Nation were "developing", while facing myriads of problems, mainly crime and poverty. A relative late arrival of the then cutting edge technology was also a contributing factor to their overall poor development. Colour TVs were just invented, but not yet transferred to many regions outside Kanto and Unova. Robotics were unheard of, factories were primitive. This technological disadvantage meant that people in these regions had to rely on manual labour and Pokemon assistance even more than their counterparts in Kanto, or anywhere else. The only way to make ends meet, was to use your own two hands to work. 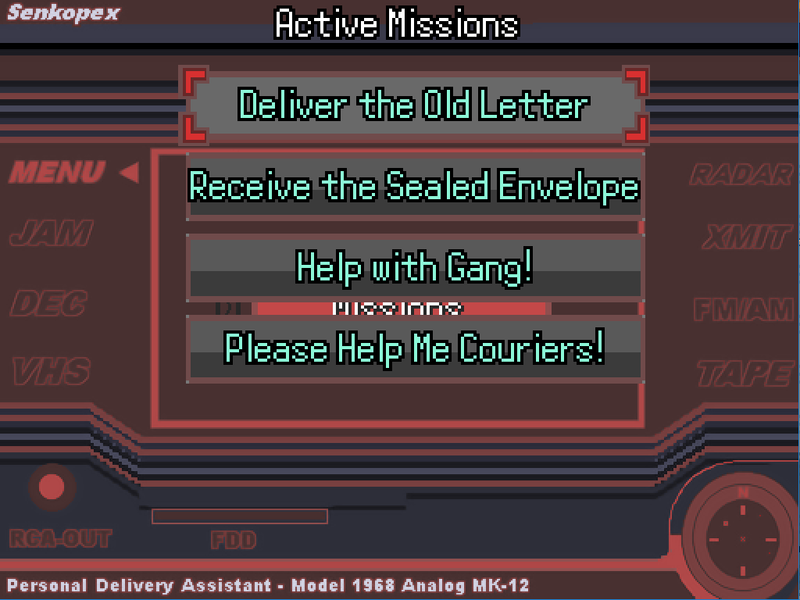 The Courier organization, a well respected 200 year old establishment, was responsible for delivering letters and packages of low or high importance, while also executing missions of dangerous nature – even replacing the Police on many occasions. Needing to traverse all kinds of terrain, and to reach the recipient at all costs, the Couriers' work was seen as one of the most honourable services to society. It is said that the famous Pokemon Rangers, were actually based on the Couriers, from which they inherited a lot of their codes and principles, as well as their modus operandi. The Couriers were also responsible for a lot of philanthropic work, but their trade, now under a mild threat from new emerging technologies, mainly developed by Silph Co, begun to slowly fade away, as their services were no longer needed in richer regions. In that sense, people did not regard them as highly as they used to, especially in the land of technological giants, the Pokemon Nation. That was not true everywhere, though. One of the poorest regions in the world, the Erynia Region, geographically very close to, but somewhat culturally and technologically immensely far away from Unova, was relying on the Couriers for many of its needs. Even if, sometimes, the Couriers had to undertake menial tasks, they nevertheless were respected throughout their entire 200 year lifespan, in that region. Various rumours also suggest that the Couriers' first branch was established in Erynia. No historical records proving that have been saved, however. Unbeknownst to the Courier, who hails from a region somewhat close to Kalos, his only proper job will direct him towards the worst possible choice for employment; Artemisia City. The once-called "Diamond of the West" has been reduced to ashes due to... an unfortunate turn of recent events. The "Crown City of the South", was now nothing more than Erynia's princess of poverty and homelessness. The protagonist of the game, carrying the weight of his mistakes, errors, actions and inactions of 25 years, gambles everything on a last attempt to redeem himself. A deeply flawed individual, whose only merit is the fact that he is almost aware of who he truly is, (and thus attempts to avoid making all the wrong choices again), tries to escape the past with his last ounce of remaining strength. People who know him, well.... they claim they don't. He has this trait of being "invisible" socially, resulting in chronic social awkwardness, trauma, but also a sense of false entitlement and an inflated ego. Will he ever fully discover himself? Will he be able to finally find redemption and salvation, when everything points out otherwise? Sylvia is a former middle-class citizen whose life was shattered when she lost her mother during Artemisia's great factory accident. Sylvia was born charismatic, both in battling and general intelligence, resulting in her reaching the top of her Medicine class and getting ready to graduate with the highest of honours. Her dream was to become a doctor in order to help the people of South Artemisia who historically have been unable to afford good Healthcare. She didn't make it in time though… Disaster stroke, her mother passed away, and Artemisia’s Mayor decided to transfer all higher education institutions to the Northern parts of the city, where middle-class was not allowed to go to. Thus all of her hard work was in vain. Sylvia, as a result, became cold and isolated, avoiding things such as feelings which would restrain her from achieving her next goal: Reaching the upper parts of the City. Tyson comes off as edgy, and teenage-angst ridden, but his ascetic and sometimes stoic stance on everything is the result of past events in his life, events that clearly showed him that strength is all that matters in this world. Intent on never being weak again, rather than gaining strength to hurt others, his life is now focused on being the best, the strongest Trainer in all of Artemisia. Rumours of an undefeated Flygon quickly spread everywhere, and even the famous Blue Glove gang was terrified whenever that Pokemon’s cry was heard. A firm believer in discipline and self-discipline, Tyson never falters under any circumstances; in that sense he encompasses almost all of the good traits that the Protagonist lacks, without also encompassing anything negative. In the eyes of the Courier, he could very well be a sort of perfection humanly unachievable. He hates his short stature (that’s a secret). Zack’s past is shrouded in mystery. What is known until know, revolves around a poor kid who did everything in his powers to move up the social ladder, including gang activities. He carries a mixed bag of traits, like: being mischievous, a joker, street-smart, a trickster, a prankster, but someone who is also very optimistic, almost to a degree of “happy” apathy. He becomes very sarcastic when things go really, really bad, even when his friends’ or comrades’ lives are on the line. He is not hard on himself, but is not lacking in discipline, Tyson’s favourite thing, in any way. While these two do not necessarily get along well, they still show immense respect to each other, partly due to their aspects on that matter regarding life. Zack is very experienced in battling, since this skill was needed in order to survive (much like everyone else in Artemisia), but his hidden fascination with perfectionism might also be a contributing factor. He has leadership skills which have been an innate quality of his that he carried with him since he was born, something that made him attract unparalleled jealously from his enemies. There are other important characters too, characters who can be better explored through gameplay. Please, look forward to meeting them, try to understand their motives, their feelings, and the life circumstances which may, or may not have shaped their world. Their role, is always tied to the destiny of the City, a destiny which always lurks above the heads of the unfortunate citizens. 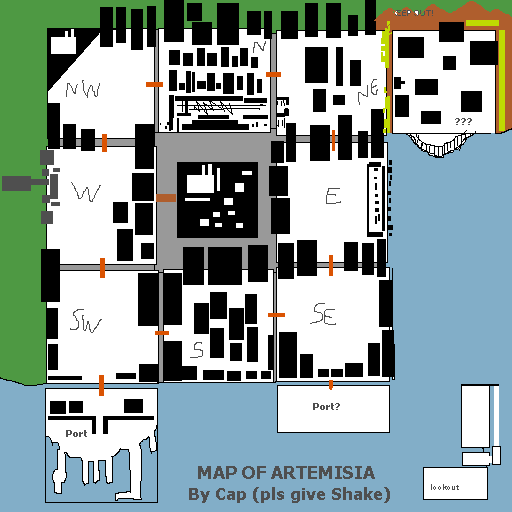 The Erynia Region, has been regarded as the “Trash Bin of the World” by Unovian Academics, and even more so Artemisia, its Capital City. Its themes heavily focus on a kind of “plain people” life, where poverty and misfortune are frequently sung in its dark and gloomy streets. For instance, Artemisia’s Music is an amalgam of folk cultures across the globe, with a jazzy twist – representing a melting pot of people whose misfortune and modesty is the strongest common bind that ties everyone together. Since Artemisia was one of the richest cities, long, long ago, and Erynia was considered the “land of opportunities” along with Unova even longer ago, many people migrated from other, poorer, or in -then- worse condition Regions. Unfortunately for them…. Erynia fell victim to the greed and motives of corrupt statesmen and ideological machinations. led to the creation of Artemisian Isolationism, a practice where people are allowed to come, but nobody is allowed to leave. Until today, nobody knows what is going on, and many have been born without even seeing a Pokemon. On top of that, orders from above mandated that… no Pokeballs were to be allowed, as far as the southern districts are concerned… In Artemisia Pokemon battles are not a joke. They are a means to survival, as such, the Trainers there are comparatively stronger than their Pokemon Nation counterparts. Young kids who start out are in a very difficult position, since they almost never have the option to defeat those trainers who battle in order to barely make a living. Thus, Trainers in Artemisia are almost exclusively adults. An unreleased and now classified research paper conducted by the Indigo League Association, estimates that the level of a “simple” Artemisian Trainer without any badges corresponds to almost Elite Four levels of strength in other regions. Could this fact have something to do with the destiny of Artemisia? What message will you carry? Will it be one of bliss, friendship and hope? Or will it be devoid of meaning, a harbinger of devastation, and a champion of ...solitude? (a Gym theme, a Johto Battle Theme, a Gen2 Vicotry theme, a Trainer Encounter theme, Guillaume de Machaut’s medieval era piece, the Pokemon Center Theme, and Motoi Sakuraba's Pyroxene of the Heart). - Pokemon from all gens, (depending on how the story develops), including some fakemon (please read below). and balancing advice is more than welcome. - A living world where themes intermingle and ideas clash. - A quest for understanding, knowledge, and truth. But mostly hope - no matter what happens. favourites as hard as you can. Catching a Ratatta is like finding a Mew under a truck. - Primitive technology. I wish you luck in finding any PokeCenter (you will not). There is no such technology available (or perhaps…other intentions exist behind the lack of … “motivation” for building such a facility in Erynia). However, do not worry about healing. The Couriers do have doctors. (Civilians, though….that’s a different story). - Pokeballs are worth their weight in gold, they’re almost like food for the starved. - An estimated Gameplay Time of about 9-18 hours, depending on your style of play. 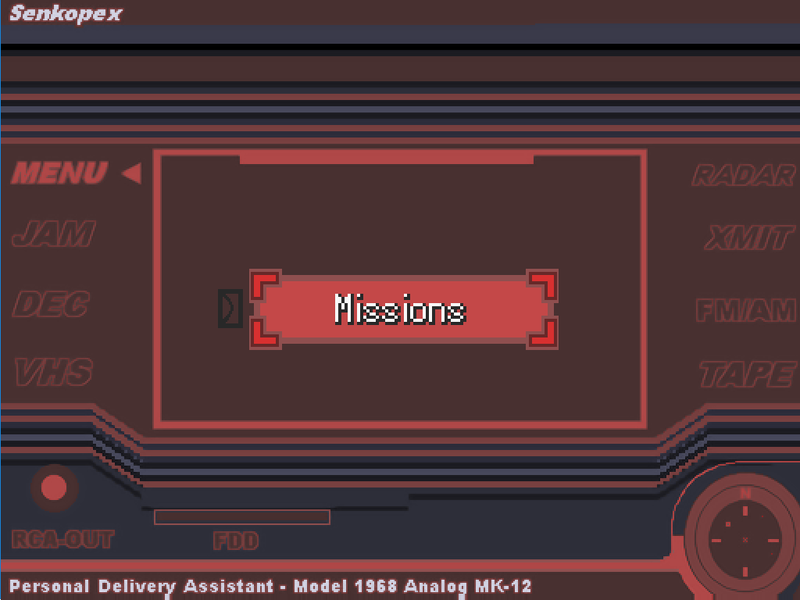 using the ALT button, which speeds up the game so you can skip that boring dialogue. what were you expecting? It’s work, you get “paid” for it (at least, that’s what the Boss says). Why would anyone be interested in rewarding you for doing things for them? If you manage to get a “Thank You”, well, a winner is you, and you should feel overjoyed. Interested yet? The application form for the job is right there…. Postscriptum respects the lore of the main games and will not move in ways that come in direct confrontation with said established lore, except for certain circumstances which will be as lore-aware as possible. 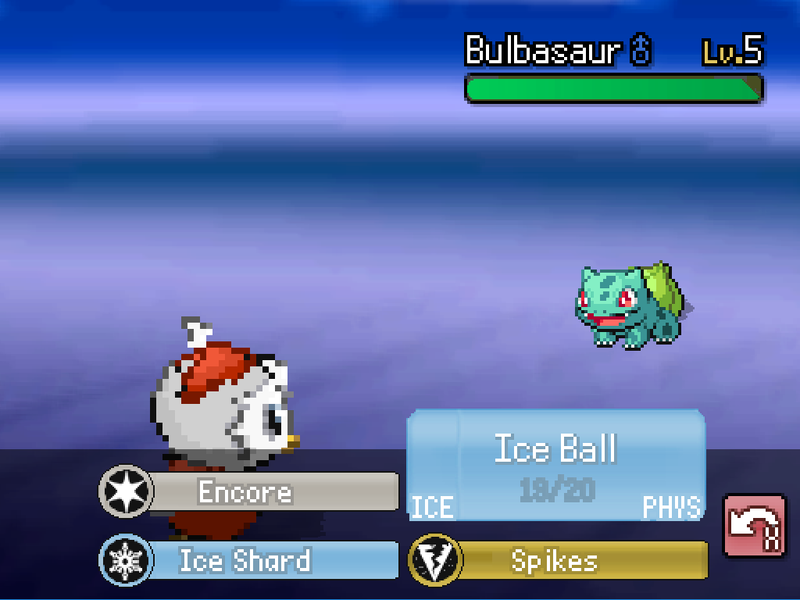 (also retcon for the win) Fakemon will not be introduced except for maybe 10 or so, all tied to the lore in some way. 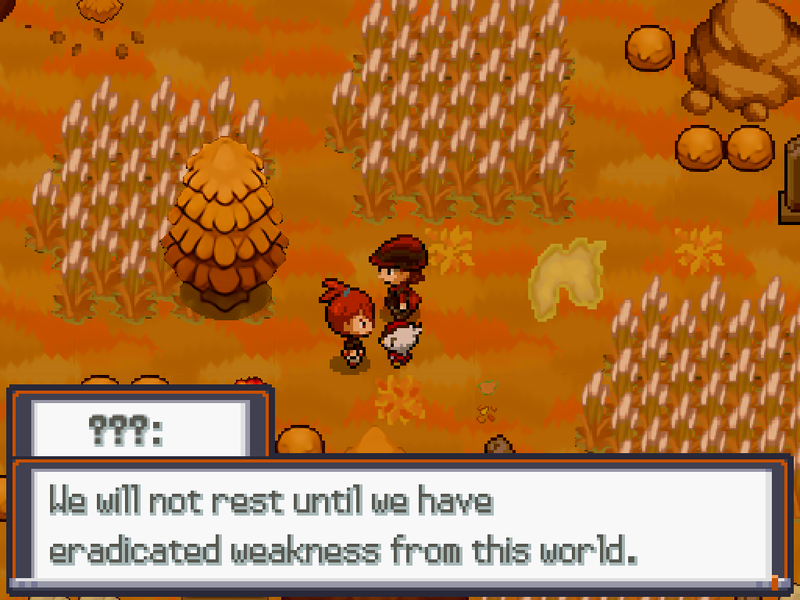 Postcriptum aims to attribute further meaning to the existing Pokemon world, a meaning that is more mature in the sense of concepts and problems, not “violence” and other forced “adult” grittiness. Things such as family, the meaning behind human relationships, what it means to be alive, what responsibility is… all of these comprise the quintessence of this fangame. Yeah, but what about Pokemon…. themselves? Well, they seemingly take a second role, but actually play the biggest one, in slightly hidden ways at the beginning… but later on, many major aspects of Pokemon, as well as humanity’s destiny regarding them, will be explored. Many loose endings, as well as individuals and organizations from the main games will be tied together in ways previously unaddressed. On a side note, Postscriptum does not adopt the “multiverse” approach the main games have taken, as it is a “simple” way to justify anything happening just ‘cause “multiverse” is a thing. “Real world” science does exist in the game, and even the powers of the legendaries pale in comparison to human achievements, something that has a very, very, very specific reason for it being so. The metaphysical-like abilities of Pokemon, are nothing more than legends passed down through mostly oral traditions. (To be frank, when a little ball renders them powerless, and in eternal captivity, what else would you expect?). 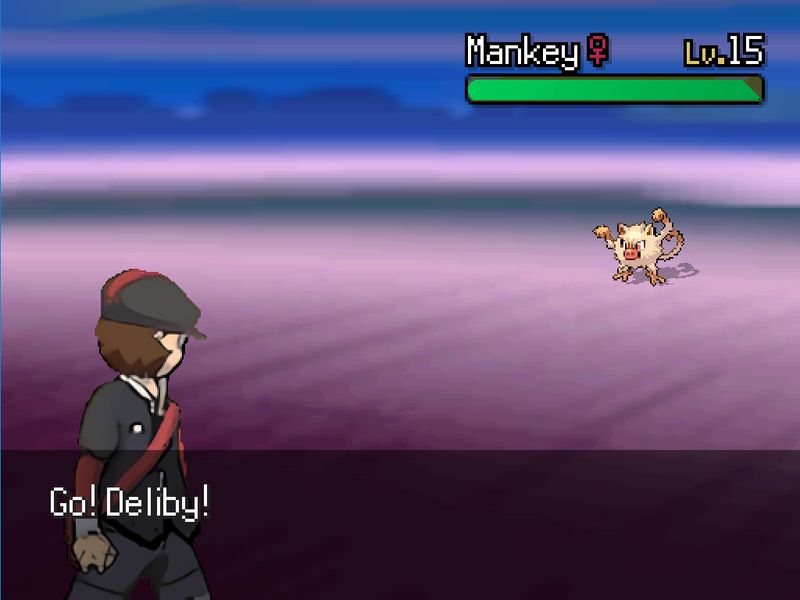 remember the first time you played a Pokemon game? During that era, many of us were young, and now, among other factors, nostalgia drives us to cling to our favourite games. Excitement, is of course, another reason. But excitement fades away with time, as does our childhood. Postscriptum tries to present the Pokemon world as it would possibly be presented if it were directed towards a slightly older audience. Adulthood is another big theme of Postscriptum, along with what it really means… Postscriptum acts as a “holyland” of sorts, a hovering world, between childhood and adulthood, between our dreams as kids and our experiences as adults, between the collapsing eternity of an excitement long lost, and the accompanying stoicism that comes with age. 1) Everyone is free to contribute anything they like! your work is not good, (and although we’re in no position to judge the artistic work of others) we will always offer any kind of constructive feedback. that we want it to, in the game. you can use it a base to create your own fangame or copy techniques or styles of doing things. We can’t for instance say, “Hey, you stole this and this and this from my fangame”. Well, in a sense, we are already working on things that are not ours in the first place (e.g. fangames). Just do not forget to credit everyone properly. The software used to make this is more than 10 years old, anyway. You may not, however, use any musical piece from the game, because we want Postscriptum’s music to be its “Identity”. wish to contribute too, by all means, do so! Hit Dusky a PM and we will sort it out. 4) Any kind of feedback is more than welcome. And we do not mean “constructive feedback” only... Anything you don’t like, find strange, detracting from the experience, lackluster, purely bad,…Please tell us everything so we can work extra hard and make it better! And even better, if you wish to contribute too, by all means, do so! Hit Dusky a PM and we will sort it out. Huge and Massive thanks to all the great people who have made this possible. Credits will be displayed at the bottom of the thread. 5) We're looking for: Testers and Scripters, the latter preferably experienced with that laggy mess called RGSS1. SPOILERS!!! READ AT YOUR OWN RISK! YOU DO NOT WANT TO DO THIS! PLEASE DO SO AFTER FINISHING THE DEMO! We would suggest against reading the following, until after completing the demo at least. Beware of potential spoilers. You have been warned ; doing so might destroy your enjoyment of the game. > An attempt at a “realistic” approach to the Pokemon Universe; even though the developers have stated that the Pokemon world does not suffer from the same problems such as ours, technology, science, and wars, are already featured in it. In that sense, how would a society without much access to Pokemon develop? 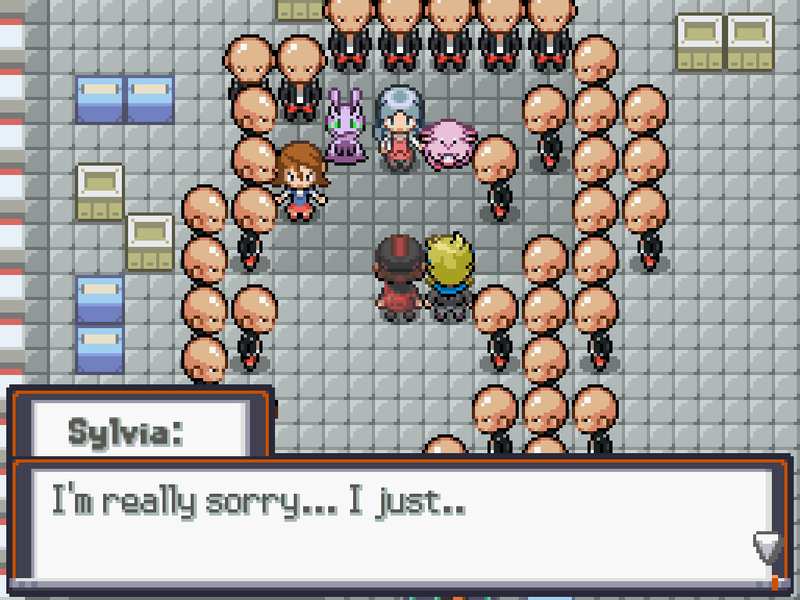 What would happen if Pokemon were in the hands of the few, and not at the service of random 10-year olds? 1) Cowboy Bebop’s “limbo” feeling and lingering sense of regret is a major source of inspiration, especially when it comes to one’s past and all the baggage that comes with it. 2) Greek Philosophy? Who knows. 5) Hope that can be discovered anywhere, no matter the circumstances, and never giving up. Never, ever giving up. And moving forward. With all that being said, one of the hidden themes of the game is Objective Truth vs Subjectivity. Can you find the other hidden themes? There is a multi-level aspect to themes throughout the demo. Some have a microcosmic impact, others encompass everything, from the slightest detail to the biggest event. For instance, and, although not hidden, isolation (social or otherwise) loneliness and ageing comprise some of the many -first glance- meanings behind Postscriptum. Can you uncover the others? and click on them, it will be “fixed” that way. It’s not a bug actually. Will be taken care of, eventually. This would never have been possible without your hard work. S.J.Luka =======>>>>> beautiful battle visual overhaul, great scripts, awesome programming. Marin >>>>>>>>>> Your PBS editor <3 <3 <3 , your Easy Questing Interface, EVERYTHING! Mr.Gela’s Name Windows – Mr.Gela you are awesome sir. Junichi Masuda, Gamefreak, “Gym Theme”, "Cianwood City", "Pokemon Center", "Route 23"
Kenta Nagata, Hajime Wakai, Tōru Minegishi "Mewtwo Battle"
Motoi Sakuraba - "Pyroxene of the Heart"
horrible original graphics, deserving of incessant praise. FIRST GAME REVIEWS ARE OUT! "Okay, so, I was looking for a game to play after finishing E.T. on NES (yes, you read that right on the NES). 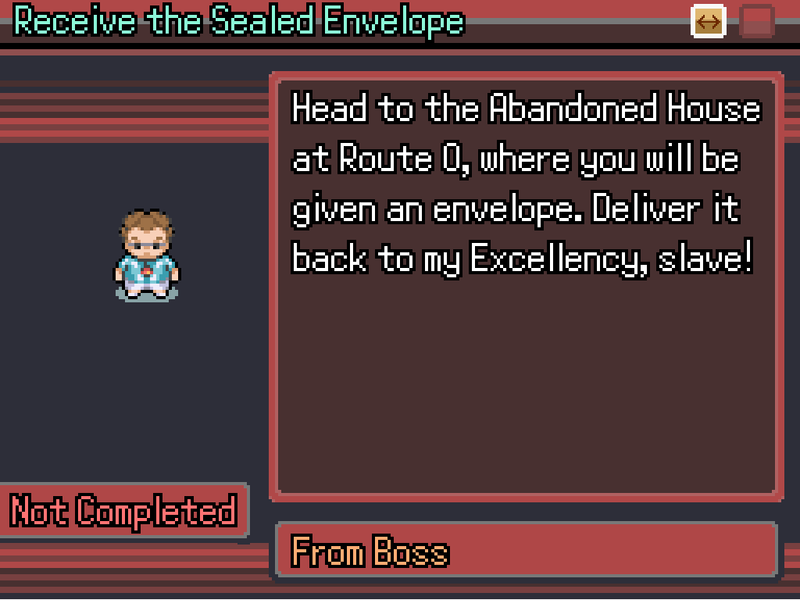 Well, to tell you the truth, I started playing Postscript out of sheer boredom. I was like, 'no freaking way there's a game worse than that garbage, man'. Boy, was I wrong. I'd rate PS 0.1/10 - it is the ONLY game that has managed to dethrone E.T. in the department of.... well, everything? "I still remember the first time. My first time experience with this... 'game'. Let me make it clear to you from the beginning: you do not want to play this game. It's torture. Cutscenes are painfully long, NPC dialogue is ... elementary school - level awful and worst of all, IT TAKES HALF AN HOUR TO EVEN LET YOU ASSUME CONTROL OF THE PLAYER, ARE YOU FREAKING KIDDING ME? Listen to me, do not play this game." "Sigh... Where to begin...? First of all, there's a lot of misinformation throughout the game. When I'm playing games, I'm expecting 100% real-world authenticity, especially when the content of such a work is touching upon the most intellectual of issues. Then again, I have never found any game that could satisfy my elite 1% genetically gifted brain - and I say this as someone with an IQ of over 420. Such a number is, inevitably, the sole indicator of mental superiority. I do not detect the need to further provide any other explanation on the reasons one should stay away from this." "RPGs are all about pen and paper"
"SO I CLEANEDING BATHROOM ONCE. THEN SOAP FELL ON FLOOR! OH THE HORORR! INASMUCH I WAS USING GLEENEX, I INADVERTENTLY STUMBLED UP ON A FLOPPY DISK! I INSETTED THAT ON PIMP-BOI 9000. GAME HAS NO LEGENDERES. I REFUTE PLAYING. THATS ALL." "What is a game? Is it a work of art? Is it an opportunity to capitalise on, and subsequently sell 200 DLC that cost three times the base product? We believe so. However, this game doesn't even support mandatory Bikini DLC. If you wish to be seen as a proper developer, at least consider submitting a Season Pass"
"When I’d first started playing... I was expecting to waste a couple of hours or so. I ended up wasting far more - I could have spent that time being a contributing-to-society individual, instead. I'm placing all the blame on this game for forcing me to stray from my path." "Okay, okay. I have played more than 10.000 JRPGs - I consider myself a pro in that regard. I have also visited Japan numerous times, and have witnessed firsthand their incredible artistic capabilities, manifested in glorious epics such as "Super Monster Fisher Imagination 25". This game lacks a proper in-depth strategic battle system. Its plot keeps dragging on and on (I'd say it is even longer than certain classics, and I am really torn on this - is that a good or a bad thing?) References to Japan are kept to a minimum - as a result, I cannot continue playing this game any longer. It does have its fair share of waifus though, so I'll give it a 9/10." "This is like Trebuchets in AOE2. Its freaking annoying"
"What the Ducklett man. The main character in this game has managed to build great calves from.... walking? Lol, everyone knows that without a 5x5x5x5 lifting routine, and an absorption of at least 4times your bodyweight in protein, such growth cannot take place. This game is misinformation in itself. Oh well, back to buying protein powders for me." "I want to include Sylvia in my next 'Alive or Not: Heavenly Resort Beach Basketball' game." - Batagaki, the father of his "daughters"
"This game must have been made by illogical, emotional, loud Southerners." "The jokes in this game are worse than my math grades." "Juxtaposing the innate qualities of an astonishingly well structured narrative, to the total ellipsis of a proper theoretical understanding of underlining Vorverstadnis of osmotic parenthesis, one can arrive at the conclusion of an ever-present misdirection of opposites, to which, and after a self-critical approximation of spatial conscience (from which no pure ontological perspective can be extrapolated) there is a clear lack of interpretation of the words of Dhefack Imsayin, an invaluable contributor to consensual epispermologies of the being - to such an indefinite cosmological approximation (inescapably, inevitably and unavoidably as well) that, quite uncharacteristically, is expressed within the confines of a non-chronical Epanaprosdiorismus - a redefinition of lack of full stop in the texts of inquirers of the non- empirical." "I'd like to leave a humorous loop here, but I just can't program for the life of mine"
' serious'. Pathetic. Somebody is unaware of their tropes." "This game needs a tutor to understand how the metagame works. Everyone that disagrees with me has probably never even reached the top of the Ladder. Is ELO and GlICKO too much for you noobs? Also cracking 'jokes' at the Smoke'on community ain't funny. We take competitive imaginary digital cockfighting very seriously"
"Citation needed. This game needs a cleanup. Sources are biased. Delete this. Citation needed"
"Xenoua, the Warrior anti-Medicine Princess, disagrees with this"
"Postscriptum is like me and my ex. We pretend we have never met"
"This game is not 8bit." "This game is pretending to be something it is not. It fails at everything and lacks in all areas, particularly in mapping"
"From an atrociously composed soundtrack, to a cringeworthy narrative, Postscriptum never fails to disappoint. I can only give this a 2/10"
"This game is biased towards the poor"
"[SPEECH 100] This game reminds me of the Big Empty"
"As a professional reviewer, I'm not very good at games. But you don't need to be good at something to judge it, right? Right guys?" "I would starve in this game"
"I will take legal action against the new Saffron Gym for taking over ours"
"The Vikings used to be the strongest warriors in all of existence"
"When logic ends, logic begins"
"This game has inspired me to quit games"
"It has been empirically proven that showing game review abstracts to potential players serves to present your game in a very positive manner. However, no review can portray this game in a positive manner"
"Where's the @#$%^ map when you @#$%^ need one, @#$%^"
"I'm Commander Sheepfart, and this is my least favourite game in the universe"
"This game is a contradiction"
"Kantonians are shorter than Kalosians"
"Did you know that the first gen Pokemon games had a reference in them that was making fun of nerds?" "I'll grab my stuff (hopefully not his... 'staff')"
"For all intents and purposes, I am but a rock"
"Mega Score: 100. User Score: 0. This is obviously a great game"
"I love this game! You can climb on buildings! I wish we had that implemented back when we had first made The Youth Pamphlets IV: Catastrophe"
"We don't like the word 'Epistle' in the title of this game. It reminds us that we cannot actually count to three. We prefer abandoning our franchise, like, in the middle of the series - hence our company's name!" "I'm an N fangirl and this game doesn't even reference him. Shite game"
"Myth of Lank: Sniff of the Tame is the best closed-world climbing simulator, we're gonna imitate that in our own next installment"
"This game reminds me of America, America"
"The German Tradition practitioners of historical fencing are far, far, FAR more competent than those Fiore airheads"
"Anime is the best style of animation "
"I gain no satisfaction from playing games anymore"
"I love this game. I'm playing with all settings on max and 60fps as well! 10/10! Take that, console peasants!" "Did you know that the word 'eleemosynary' (Greek: eleemosyne = 'charity') actually derives from 'alms'? But 'alms' comes from Latin transliteration of Greek 'Eleos' which means 'mercy', which derives from 'Elaion' which means 'olive oil', from 'Elaia' , 'olive tree'. I wonder, what kind of connection is there between 'charity' and... an olive tree?" "When does a game really showcase its flawed design concept? When it is wrong on so many levels"
"I want to judge a game based on its fanbase"
"Had the ancients ever been able to choose only one videogame among many to play, which one would that have been?" "Even Postscriptum's graphics are better than 'Killer's Dogma: Historically Inaccurate Satrap of Assyria Ripoff Pseudo-Mythological Sequel Factory's story"
"Is Dank Psyches a JRPG? I'm confused"
"But... what if 1+1 = Artemisia is a parallel universe where the protagonist is alive? Just a theory. A game theory"
Is it only me or you need decryption key for download and if so where is that key. Apologies, it appears when I updated the link I didn't copy the key too. It should work now. Alright, it's been... well a really long time, but ep3 is out. More importantly, we wanted to have ep3 ready for RC's community (which seems to be more in-game exploration based ---this game has been a huge mess of tile bugs-----) so we had to wait until version 3.2.0 of episode 3 was out. Also, changes have been made to accommodate for younger players, although the game is still better suited to an older audience. Apologies for the extremely long delay in releasing this. Now it's as close to its true form as we had intended it to be. Ep4 is in the works.